How long is it since I came on here and wrote? Things have been a little hectic around here you know what it can be like. sorry no crafty things to show you at the moment, but a few thing to tell you. first thank you all for the lovely comments you gave me regarding my JYC book I'm so far behind with it, but hoping to find the time soon to catch up and finish it. secondly I have put together a new blog to follow my weight loss. Yes I'm on a diet I joined Weight Watchers the other wk. You can follow the story of my weight loss here..."The Dieting Ladybird" I would love for you to take a look and may be follow it to help keep me going it is going to me a long journey but I WILL DO IT. and now for the very exciting news....Oh what fun...Yes its cyber crop(CC) time over at UK Scrappers. I really love CC, I love the build up with the fun and games and then the fast mad weekend with all those great classes. If you have never done a CC over at UKS come and join the fun and best of all its free. 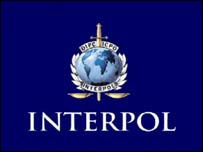 This CC is a The Whodunnit Cybercrop and I have been put in the Interpol team with Hysteri-CAL as our leader. Good luck with your diet, I'll have your danish at the next crop! Hi Ruthy, not sure I'm supposed to be chatting with a member of Cal-pol LOL. The CC is off to a great start, isn't it...can't wait for the actual weekend. Good luck with your Diet and i'm looking forward to seing what you produce during your CC. there's a little blogland award for you on my blog. Hi, my name is Ruth, and I seem to spend a lot of my spare time permanently glued up with bits of paper, ribbons and small shinny things. WHY?? Because I love to scrapbook. If you like what you see here, please feel free to take inspiration from any of my designs for your own personnal use, but please don't enter them into competitions, or submit them for publication. If you do make anything inspired by my work, please let me know, I'd love to see it.